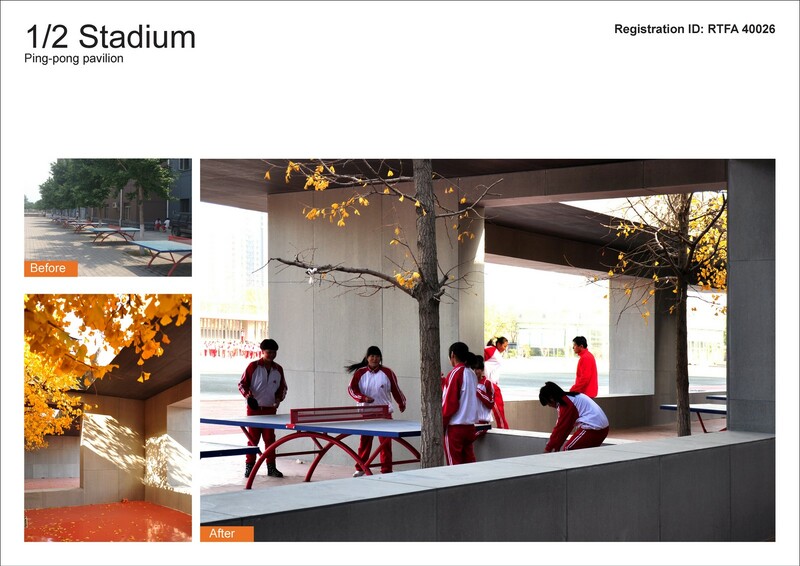 Beijing Huangzhuang Vocational School is a one of the best vocational schools in China. A number of project has been recently carried on to expand the campus to accommodate the increasing number of school population. The existing sport ground located in the northern part of the campus is a frequently used public space of great importance to the school. It is more than a place for exercise or sport activities, but also serves a place for official ceremonies, performances and space for communication and interaction between students. Despite its importance as a public space in the school, the various facilities on the sport ground are performing badly in terms of their appearance, function and the atmosphere in general. 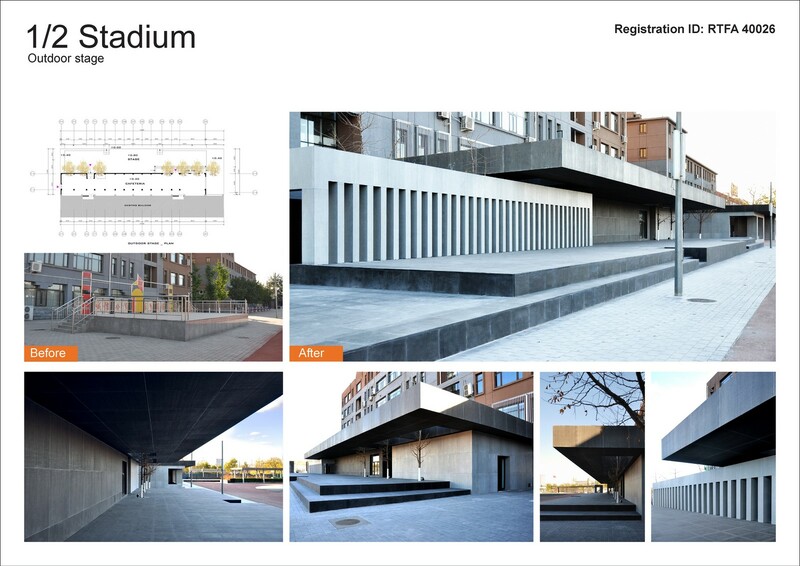 Establish a new visual identity of the sport ground through architectural renovation. Improve the performance and efficiency of the various function zones of the sport ground. 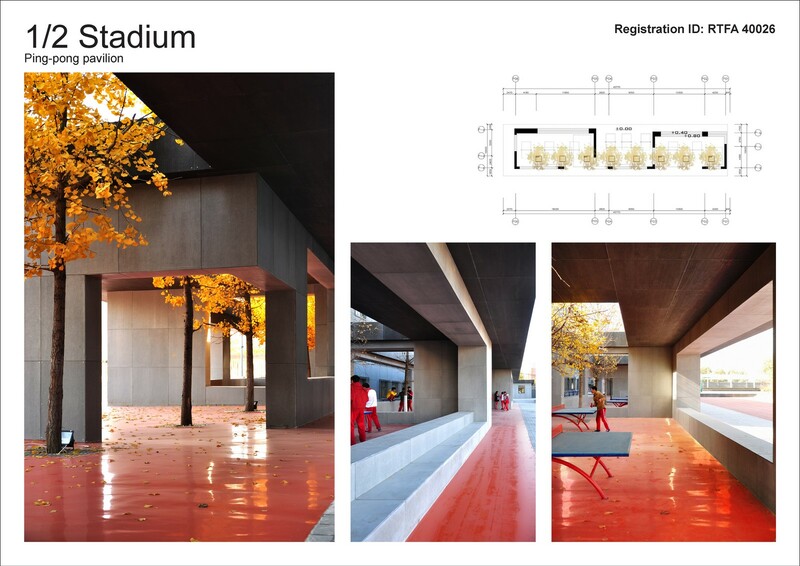 Strengthen the characteristic of the place as a space of interaction between students. The design should be possess a high level of aesthetics. The existing outdoor stage measures 12m x 7.8m x 0.8m and should be enlarged for holding performances or events. The back of the stage should have multi-purpose room. This space added will be temporarily used as cafeteria for students and staff. 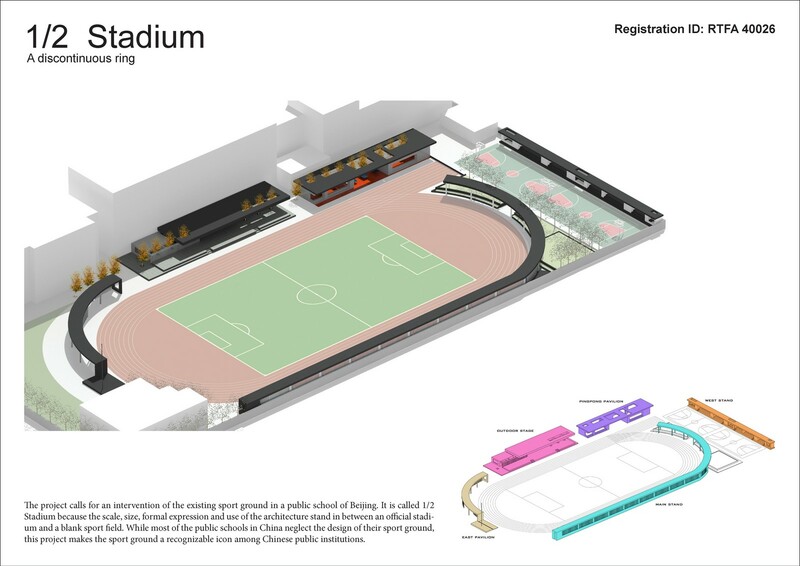 The main stand should be able to protect students from bad weather conditions and provide shading. Existing trees should be preserved. The design should be economical.